a. Maximizing volume is important to make the music as loud as it can be without distortion. b. Loudness is a subject in mastering although anyone would have the necessary tools to make the music as loud as possible. OK. You need to make it loud? Remember that in music production, it is not all about loudness but keeping the music dynamics as balanced as possible is an important objective. As a rule, it is best to have the maximum amplitude of around -6 dB to -3dB during your mix down. This means that after mixing, there should be no peak louder than -3dB. The basic reason is to give some headroom during the mastering process. a.) Introductory guide on appropriate gain staging -implement the proper recording levels during the tracking session. b.) 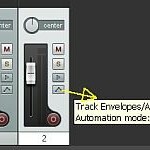 Assigning the right headroom for your mix – this will prepare your mix for mastering. Step1.) 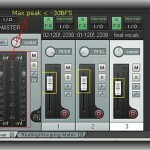 Download audio recording software. For example you might to use Audacity which is a free recording software. Or if you are technical savvy you might want to install Reaper. You can read this tutorial on installing Reaper in Windows. You need to install that first to your computer. Step2.) 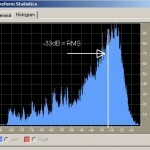 Altering the volume of an existing audio file (whether it is an mp3 or a wav file) is a dest¬ructive form of editing. You need to make sure that you have done a backup of these audio files before editing. Step3.) You can check this procedure on how to normalize audio using Audacity software. 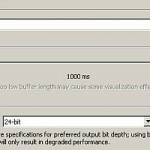 Or if you are using Reaper, you refer to this quick tip on normalizing audio using REAPER. Step4. )When maximizing volume (through amplification/normalization), allow some small headroom such as -0.2dB and not 0dB (maximum possible digital audio volume).